The number one reason most diets fail is due to hunger and cravings. For most people, the biggest challenge when it comes to eating right is beating those cravings for unhealthy foods. There are a number of appetite suppressants available on the market, but synthetic options contain ingredients that often come with a long list of harmful side effects. Fortunately, there are also natural herbs that can help curb your appetite without compromising your health. 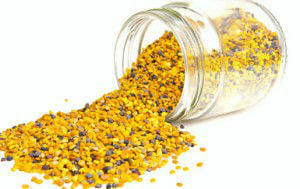 Bee pollen offers a host of medicinal benefits that are almost legendary. It is thought to increase energy and decrease appetite, possibly because the primary reason for hunger is to gain energy from a food’s nutrients. A study conducted by the Institute of Apiculture in Russia found that bee pollen can boost metabolism and curb the appetite. Just one teaspoon of its granules taken on a regular basis can help to burn more fat and increase energy. Bee pollen contains the amino acid known as phenylalanine which is responsible for suppressing appetite; it sends signals to the brain to control hunger. In addition to reducing cravings, cultures from around the world use it for all types of applications, including extending longevity, recovering from chronic illness, preventing infectious diseases, and more. Chickweed also has a longstanding reputation for aiding weight loss efforts. It can be eaten raw in a salad or steamed like a vegetable. Adding chickweed to a typical salad has been shown to help break down fat molecules. It can be sprinkled on many different foods to decrease appetite, curb cravings and even assist digestion. Chickweed is often a key ingredient in the formulation of obesity medications and weight loss supplements. It is readily available, which helps to contribute to its popularity. This herb contains vitamin C, phosphorus, and ingredients like GLA (gamma-linolenic acid), saponins and other glycosides which also make it a mild diuretic (helps you to pee). These substances aid in the emulsification of fat cells, helping to promote the elimination of fat. Burdock is traditionally used to cleanse the blood and help detoxify the kidneys as well as the liver. It is well-known to be one of the best blood purifiers known in traditional medicine. It is also revered for its ability to reduce cravings and hunger, and boosting weight loss efforts. It improves metabolism and acts as a diuretic with active ingredients including inulin, polyphenolic acids and non-hydroxy acids. This incredible herb offers many other health benefits including regulating blood sugar and cholesterol levels as well as stabilizing blood pressure. It contains a number of essential nutrients including vitamin C, vitamin E, niacin, folic acid and riboflavin. The best way to use it is to bring water to a boil and pour about an ounce of dried burdock root into the water; gently simmer for 10 to 20 minutes and then allow it to cool. Drinking it between meals is optimal. By combining one or more of these herbs into an already healthy lifestyle that includes regular exercise and a nutritious diet, you can help decrease the time it takes to achieve your ideal weight. Next articleIs Washing Your Chicken Really Necessary? Hey Buddy!, I found this information for you: "3 Herbs that Curb Your Appetite". Here is the website link: https://www.thealternativedaily.com/3-herbs-curb-appetite/. Thank you.